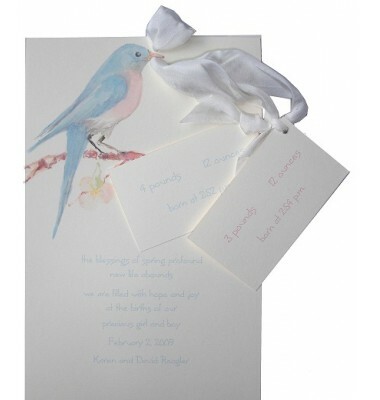 This gorgeous 5.75" x 8.75” invitation features a blue bird holding two smaller cards attached to a silk ribbon. The two smaller cards are designed to be personalized with any information of your choice. 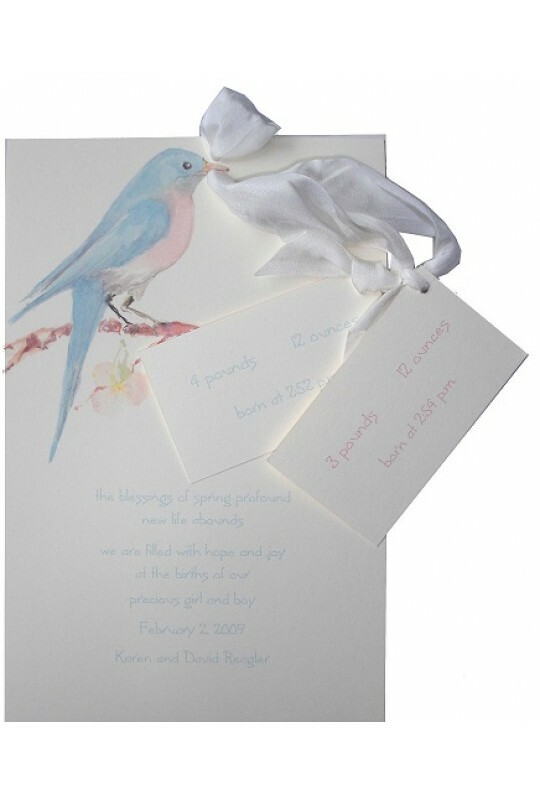 Unique and chic, this card is perfect for a twin baby shower, birthday or for use as a birth announcement. White envelopes included. Attachment of cards required.